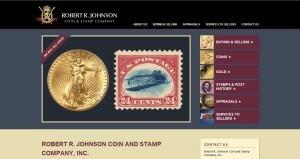 Robert R. Johnson Coin & Stamp Company Inc address, phone, website, hours of operation, and more. 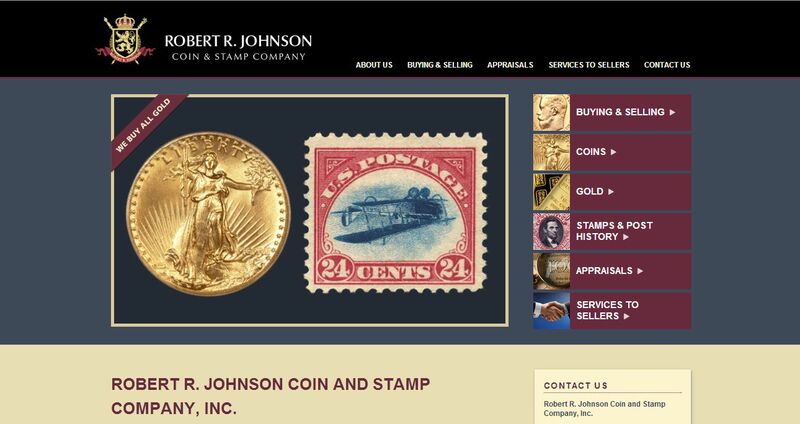 Robert R. Johnson Coin and Stamp Company, Inc. of San Francisco is one of the oldest and most prestigious independent companies in the fields of numismatics and philatelics. Founded in 1954 by renowned expert numismatist Robert R. Johnson, the company is known for its integrity, professionalism, and high level of experience. Over the years, the company has built and developed strong relationships with clients throughout the world. The values and principles upon which Mr. Johnson founded the company many years ago still exist today. The professionals at Robert R. Johnson Coin & Stamp Company will always take the time to answer your questions, address concerns, asses and explain values, procedures, timing, and any other aspect of your particular transaction. Our company has earned the reputation of treating clients fairly and with respect. The Robert R. Johnson Coin and Stamp Company, Inc. is an authorized dealer for the Professional Coin Grading Service and Numismatic Guaranty Corporation. We are also longtime members of the American Numismatic Association and the American Philatelic Society. As well as, the American Stamp Dealer’s Association, Ephemera Society of America, Manuscript Society, U.S. Classics Society and Collector’s Club of New York.